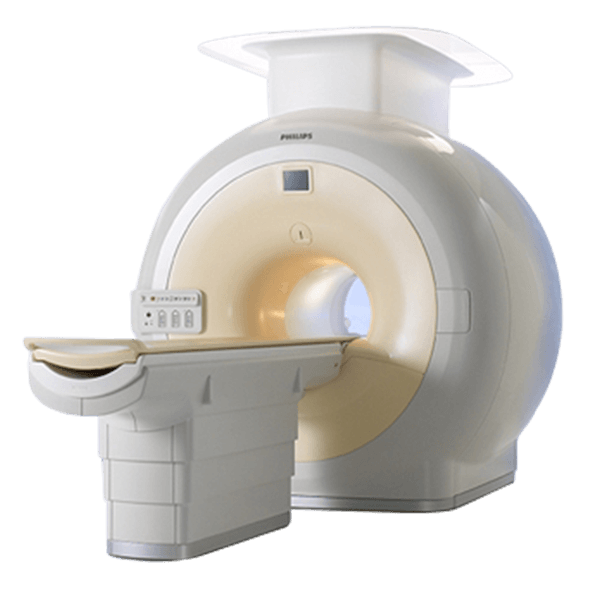 The Philips Achieva 1.5T mobile MRI system is engineered to help you get more done in many ways, whether through this MRI’s speed, application range, or workflow efficiency. Available in 8, 16, and 32 channels, the Achieva 1.5T mobile MRI can complete a complete spinal and brain scan in less than 20 minutes. The Philips Achieva 1.5T mobile MRI system provides superior imaging quality in a range of challenging applications, such as large field-of-view abdominal and breast imaging, uniform fat suppression in virtually all anatomies, and consistent off-center imaging, across all patients. The release of 1.5T MRI scanners introduced a strong focus on consistency in exams. One of the focuses of the Philips Achieva 1.5T was to allow for repeatable results no matter which technician is performing the scan. Its software automatically recognizes the anatomy, plans the exam, and its processes allow for consistent results with each exam. The Achieva 1.5 tesla MRI has more advanced features than others in its class, including up to 32 channels, NOVA HP and NOVA Dual HP Gradient Systems.